Microsoft's "client" division, responsible for Vista, posted revenue of $4.34 billion. 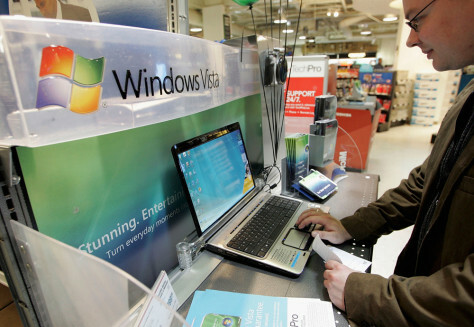 The company said it has sold 100 million copies of Vista since its January 2007 launch. Here, A COMP USA in San Francisco tests a laptop running Vista.